Get excellent merchant cash advance renewal terms your business will qualify for. Get terms as long as 12, 16, and 18 months and lower rates. In some cases, 24 months and low rate factors. Step 1 Talk with a representative at your current mca company. Give them your most recent three months business checking account statements and ask them to review your file in advance of their underwriting reviewing your request. Step 2 Ask the representative to estimate the renewal amount, the number of months and rates. Ask for a better rate on a renewal. How to Tip: If a renewal offer is made, ask for at least a 2% lower rate on each renewal. Some cash advance companies will not pre-review your file. If they won’t, let underwriting process your file. Step 3 Tell your current cash advance company that you are shopping for a better offer and are comparing their offer to others. Step 4 Apply with one or two competitors. If they beat your current mca cash advance companies rate and terms, take their approval offer and ask your current cash advance company to beat that offer. Review the funding stipulations to make sure you can provide everything needed to close. Step 5 Decide on the best of the offer terms, complete the transaction and receive funding. What are renewal options ? Get a mca merchant cash advance or business loan with the best and longest renewal terms of up to 18 months. Get a better and less expensive cash advance renewal. 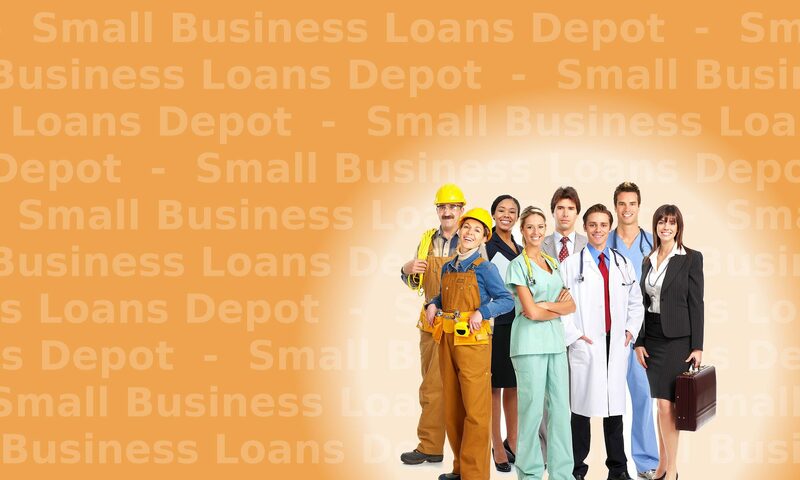 Also available are large business loans, bank statement loans, loans against equipment, asset based loans and other options such as paying off your mca merchant cash advances. Click and apply above now to get your longest merchant cash advance renewal terms. 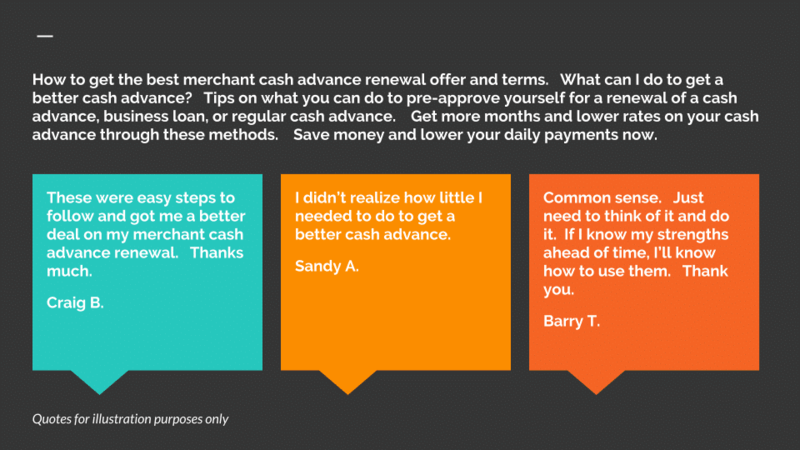 What can you do to get the best cash advance renewal terms possible? Follow these tips. People also ask, F.A.Q.’s frequently asked questions and comments. Why is my renewal not longer than before? In most cases, the cash advance renewal term will be the same as the one you originally took out. You must ask for a longer term. If you have had a good pay history or your credit score has gone up, then the funder may give you a longer term on a renewal, but only if you request it. Do not expect the funder to offer you longer terms on their own. MCA Companies want to put you in the shortest term possible and the shortest term you will accept. Many businesses believe that if they had an excellent repayment history on their first cash advance, then they should get a much longer term and much better rates on all renewals. Your business may qualify for a longer term on a renewal. 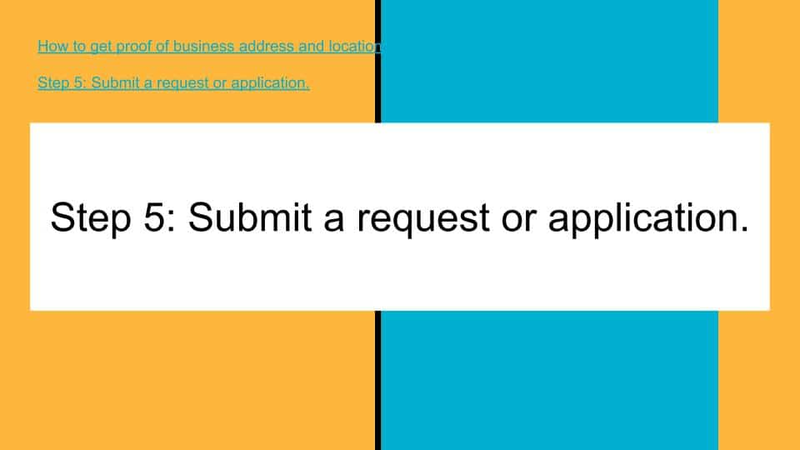 Request that immediately when you request the renewal. What if my company’s situation has gotten worse since I took out the advance? 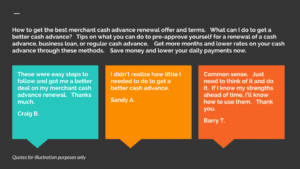 Should I even apply for a renewal of my cash advance? Listen to what the Representative says. Ask him what are the most common reasons companies are declined for a renewal. If he does not mention decline reasons that your company has, then you have already gone through a partial pre-review. What can I do myself to get a better offer for my mca cash advance renewal? Review your most recent 3 months business checking account statements yourself. Compare the average monthly deposits, average daily balance, if you had any NSF Overdraft activity with the same numbers on the statements you provided when you received your first advance. If the numbers are better than they were when you received your first advance and your credit is the same or better, then you have a good chance to qualify to get a better renewal offer from your current mca cash advance company, or a competitor. What is interest on interest on an mca cash advance? Interest on interest on a cash advance is when you renew your cash advance before it is paid off but you still pay interest or finance charges on the amount you have not paid yet. Even though the old contract is ending the interest on that old contract is not forgiven and it is rolled into the new mca contract. Some funders will forgive the remaining amount owed but most will not. Make a list of this specific information. Discuss it in advance of applying with all cash advance companies you want to talk to. You may be able to either pre-approve yourself or pre-decline yourself before applying. It is better to know you will likely be declined before applying, rather than applying and being declined. If the cash advance company is not willing to seriously pre-review your file, you can choose to apply anyway. Your goal is to get as many cash advance companies to pre-assess your file as possible. Do not demand they do in order to apply. If you demand that the cash advance company pre-reviews your file, you may be eliminating yourself from the best option available.